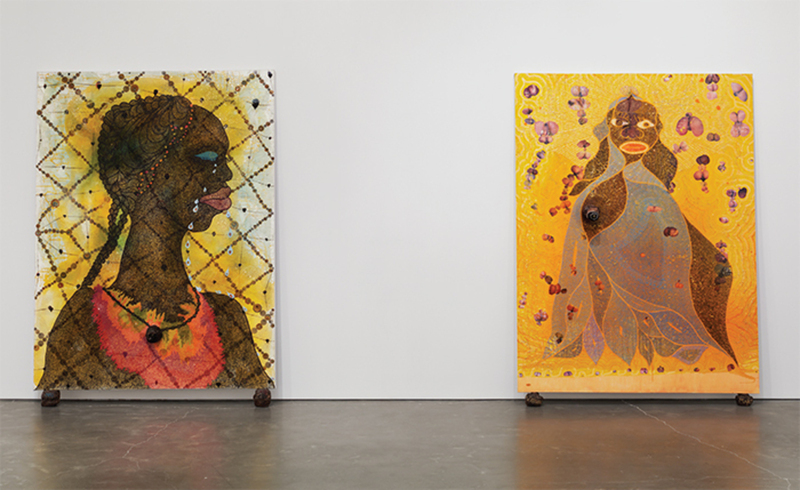 View of “Chris Ofili: Night and Day,” 2014–15. From left: No Woman, No Cry, 1998; The Holy Virgin Mary, 1996. Photo: Maris Hutchinson/EPW. CHRIS OFILI is one of a tiny handful of living artists whose work has, however briefly, entered what passes in this country for “political discourse.” In the more than fifteen years since the tempest in a teapot initiated by Rudolph Giuliani’s “outrage” at the inclusion of Ofili’s painting The Holy Virgin Mary, 1996, in the 1999 exhibition “Sensation” at the Brooklyn Museum, no other artist has been framed for such blasphemy. 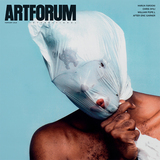 Meanwhile, Ofili’s approach to painting and his philosophical agenda have been quietly evolving, encompassing both more personal and more historical areas of association. “Chris Ofili: Night and Day” at the New Museum laid out the artist’s case, making clear how ill-suited this thoughtful and adventurous artist was to the role of social iconoclast, the status-quo-disturbing aspects of his work notwithstanding.